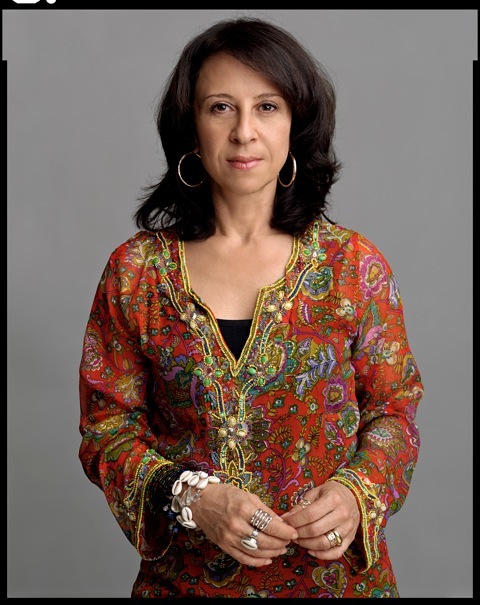 Recently, we had the great honor of being able to interview journalist Maria Hinojosa (National Public Radio’s Latino USA, CNN, PBS Frontline) She has received many awards including two Emmys, the Robert F. Kennedy award and a leadership award from the National Association of Hispanic Journalists. This month she is coming back to Chicago to be honored for the work she does at Community Media Workshop’s Studs Terkel Community Media Awards. Maria is also the author of Raising Raul: An Adventure Raising Myself and My Son. In the past, she has also past Hispanic Business magazine named her one of the 100 most influential Latinos in the United States. Maria Hinojosa emigrated with her family from Mexico City to the south side of Chicago. Her first jobs included babysitting,working at a jewelry store in Hyde Park and becoming a powerhouse media maker amplifying the stories of ordinary people. Since then Maria has been paving the way in media for the last two decades making way for a new generation of Latina media makers. Despite her busy schedule, Maria was generous with her time to do this two-part interview. As I’m dialing Maria’s number I notice that my hands start to get sweaty. I am suddenly feeling a little bit nervous about interviewing a seasoned journalist like Maria. Thankfully, I remember the interview Maria did with Queen Noor of Jordan and how she felt a little nervous about doing the interview. She was on her way home in New York when she took my call and this is what she had to say. DP: What is it about telling the stories of unsung heroes in communities that attracts you? MH: In general there are so many people who I meet on a daily basis who I’m reporting about or just simply meeting whose experience in America is unsung is untold and I’m always inspired by them and often times they are Latinas or women of color. This country is changing dramatically and with change comes pain and so a lot of Latinas whether they are to an extreme working in the fields, garment factories or working in Fortune 500 companies many Latinas still feel pressure coming down on us. There are amazing successes and I’m thinking for example Secretary of Labor Hilda Solis or Supreme Court Justice Sonia Sotomayer but many Latinas living day to day with a dual experience of what it is to be a Latina in this country. Which is on the one hand the celebration of the reality of demographic growth that is clearly unstoppable and on the other hand the complete opposite response of “we don’t want to see you, please don’t be here, go away and be quiet and don’t say anything.” Latinas are living that daily experience and daily dichotomy all the time. So the ones that I meet who are unsung they absolutely inspire me to keep doing what I have to do to tell these stories. DP: What does it mean for you to come back to Chicago to receive the Studs Terkel Community Media Award? MH: I’ve been out of Chicago for a long time but come back often because my parents and sister live there. There is something really special about Chicago and the Midwest. When you visit Chicago sometimes you don’t quite see it but when you come back to it you realize that the spirit of this part of the country is very unique particularly Chicago. For me to receive the Studs Terkel Award its like wow Studs Terkel was doing this and he was breaking through these boundaries. I remember picking up his book Working, and thinking what an interesting way of doing journalism. He’s actually letting people speak for themselves and he’s speaking to the invisible people. While I loved what he did, it didn’t make me think that I could do it. Today, I think Studs would be so pleased to know that there is a generation who was inspired by him and who learned the lessons of giving voice to the voiceless. I’m only hoping I can pass on that same kind of inspiration to the next generation. Next week we will publish the second half of Maria’s interview where she will address the role of mentorship and what it takes to tell compelling stories. In the meantime, tell us what you think of the interview or if you have a favorite interview that Maria has done for NPR’S Latino USA share it with us. The Chicago Community Trust , Community News Matter initiative. Diana: I was so excited to hear you were interviewing Maria Hinojosa. I was still in high school when I first caught a broadcast of Latino USA. I continued to look for it after that. I can’t wait to read the second part of your interview.